About UELAC Certificate of Descent! A member who has proven their ancestry from an Original Loyalist is issued a UE Status certificate which affirms the member has provided the necessary documentation to be considered a verified descendant of United Empire Loyalists. NEW: Bridge Annex members can now download the Application Form! Must sign in to access download. Go to UELAC Certificate of Descent – APPLICATION FORM link above to get started. PLEASE NOTE: In order to ensure we track applications, our branch Genealogist will send an email of introduction soon after your download. We ask that you do not share the downloaded application with others, as membership is a requirement of applying for the UE Certificate of Descent. Indeed, it is a rare privilege to be able to use UE, an honour as specified by an Order in Council on behalf of the Crown and shows one’s pride – not only in their ancestor’s bravery and sacrifice – but also as a descendant of one of the builders that led to today’s country of Canada. 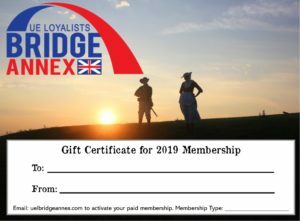 Today’s Association is open to all those interested in and supportive of Loyalist history and heritage. Members of the Association must be a member of a branch and there are branches of the Association in every province of Canada, except Newfoundland. While many join a branch which is local, there is no rule as to which branch a member must belong and Bridge Annex offers an unique alternative of a virtual Branch, with no specific region designated. To join the Association as a Member, one must simply support the mandate of the Association. 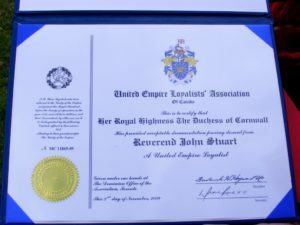 To obtain a certificate attesting to UE Status, one must provide documented proof of descent from an Original Loyalist. Many individuals come to the Association with very complete genealogies, but others are just starting their family research. Each branch has a genealogist who will offer advice and assistance. While the process can seem intimidating, with our guidance you’ll learn much as you work towards making your proofs. While we do not take on the entire research process, instead believing it important for descendants to work towards achieving this certificate, we are here to help you. We know the excitement of having our certificates of descent proudly on display in our homes, and want you to be able to do the same. In some cases, the documentation is fairly simple if relatives have already established their descent. In any event, the research provides an exceptional opportunity for a family to establish and celebrate its past. Join a Branch as a member. We’re here and ‘open’ 24/7 to receive your request for membership! Once a member, complete a UE Status Certificate application. This documentation of your family’s ancestry follows stringent guidelines but our Bridge Annex Genealogist is always available to assist you. Your application is reviewed by our Bridge Annex Genealogist, then forwarded to the UELAC Dominion Genealogists for final approval. If approved, a UE Status certificate — suitable for display — is made which verifies your status as a descendant of one (or more!) 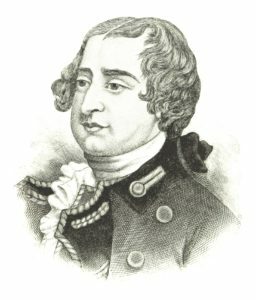 of the earliest framers of Canada. Descendants of UEL’s are from the most diverse backgrounds! Estimates have placed one in six Canadians have a Loyalist ancestor. 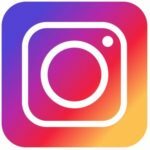 Need help to get started? Have a question? You can email us: uelbridgeannex@gmail.com OR send us a message on any of our social media accounts. We’re here to help!